Helping an existing client develop their website to take full advantage of the latest features of Magento 2. 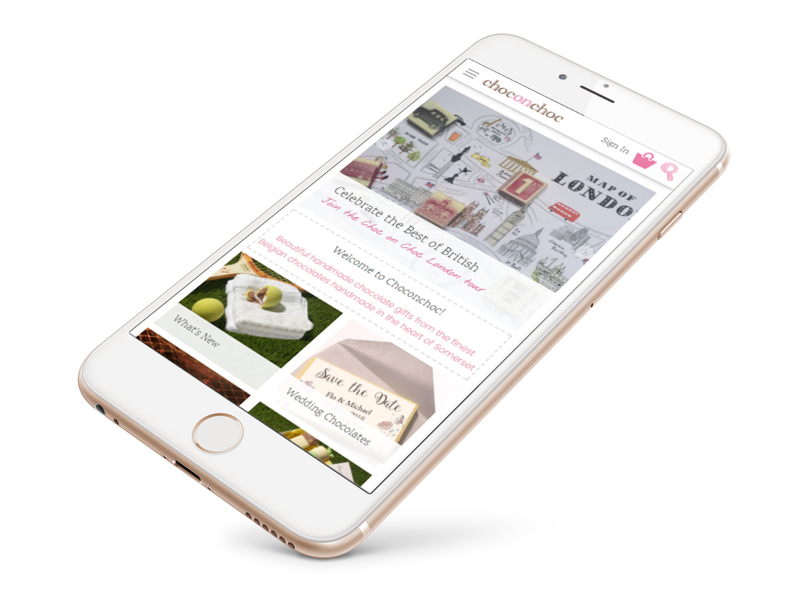 Byjama has worked with choconchoc in Rode for several years, maintaining and developing their Magento website in partnership with Dan Peters from Moomo Limited. 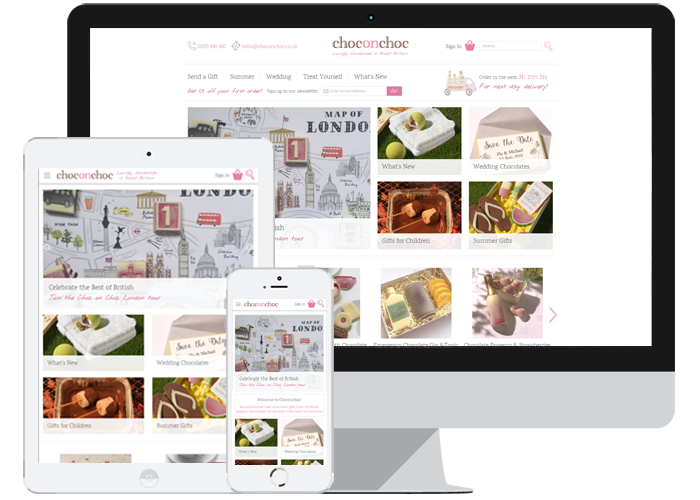 This latest iteration of the site required a full migration to Magento 2, to allow choconchoc to take advantage of the latest features such as full page caching and improved stability across the new platform. Magento 2 also offered more flexibility for choconchoc admins to report on visitor activity, allowing them to conduct better targeting of products and services towards customers, and also use custom built features to provide a fully bespoke service.